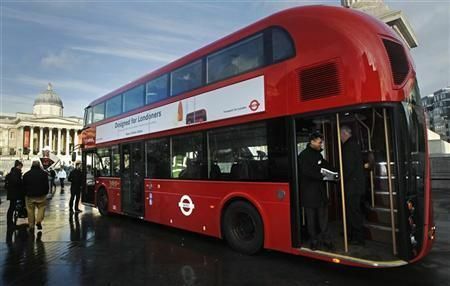 London welcomed a new open-backed double-decker bus on Friday, six years after the much-loved but ageing fleet of "Routemaster" vehicles were removed from the streets of the British capital. The sleek modern bus, which also features a conductor and the distinctive open rear boarding platform to allow people to jump on and off, was unveiled for the first time on Friday, gliding through busy traffic on its first trip through London. Beaming London Mayor Boris Johnson, who had promised a modern Routemaster in his 2008 election manifesto, said he believed the new design would become as resonant worldwide as its predecessor.